Shaking up the distinguished Manhattan beauty industry with its unique salon suite community is what drives Alexandra Moise on a daily basis. The passion to see others shine and her dedication to their success has earned her the title of Salons by JC Concierge of the Year for 2018. Alexandra began her career in the beauty industry over 10 years ago working for some of the top brands nationwide as their Spa/Salon Director. “I grew up in the beauty industry and that gave me the foundation and drive that I needed for success”, stated Alexandra. Working for Warren Tricomi inside The Plaza Hotel and the Guerlain Spa inside The Waldorf Astoria Hotel taught her the importance of responsibility and shaped her into the professional she is today. “I was lucky enough to have amazing mentors that trusted me and took the time to ensure I had the necessary tools to perform at the highest level”. Managing teams of 20 to 100 employees, coordinating location grand openings, training sessions, photo shoots, special events, and administrative duties showed Alexandra how to continuously build teams and businesses. 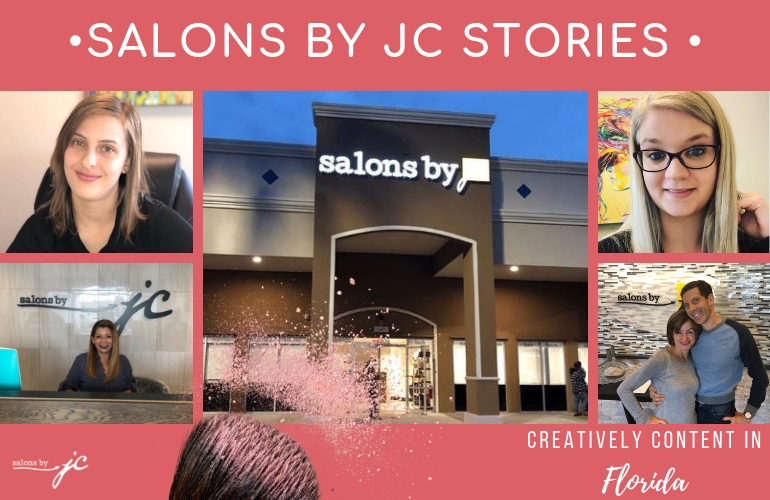 As she set her sights on growing her career, she knew that Salons by JC would utilize her expertise and also give her the work/life balance she had been searching for. Her ample salon background made Alexandra stand out to Barrett Tuttle and Shaurja Ray, “Alexandra had extensive salon and spa experience before she joined us which helped her speak the same language as a lot of our salon suite owners. 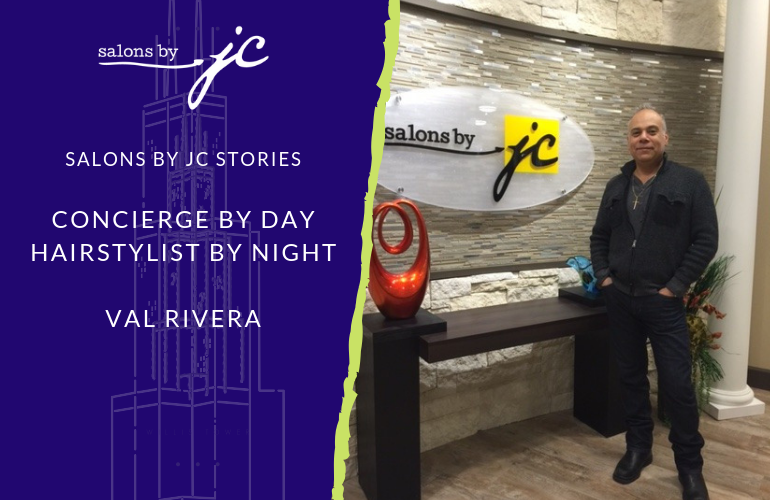 Whilst not necessary when hiring a concierge, we found it extremely helpful in our first location as we had no experience in the beauty industry”, stated Shaurja Ray, Owner at Salons by JC Manhattan. 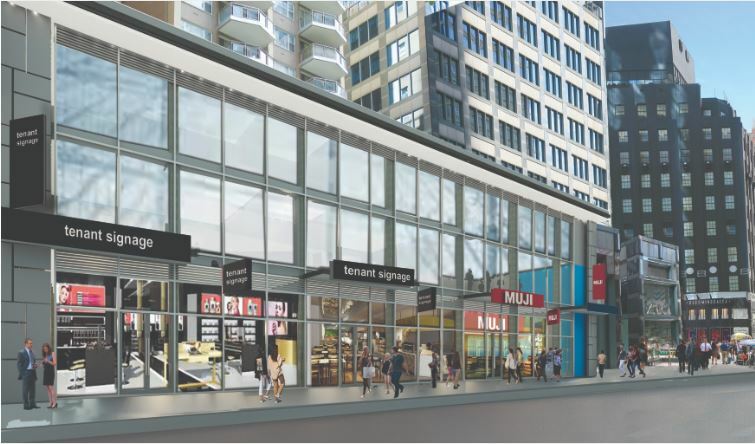 “The best part about what we built and continue to build is our Salons by JC community,” stated Alexandra. The Manhattan location focused on creating a family environment among their salon suite owners. One that shares common goals and values. Putting their salon suite owners first with an understanding that their success comes from their salon suite owners. “We wanted a safe and happy environment where people can build something extraordinary”, stated Alexandra. The trio created a seamless system of operations ensuring that all new salon suite owners are on-boarded with the necessary tools needed to succeed as small business owners. “We equip them with all the business tools for success”, stated Alexandra. “We have the best of the industry under one roof. Our beauty professionals are dedicated, artistic, business savvy and eager for more education to grow their business. This is what they receive as Salons by JC salon suite owners. In turn, they create the ultimate VIP experience for their guests”. This energy has transcended into the area of community outreach for the Manhattan location. In February, they partnered with The Fashion Foundation and hosted a “Get Glam to Give Back” event. The salon hosted over 60 attendees and raised over $1,400 for the organization in just 2 hours. The guests adored the event space at the Manhattan location and the salon suite owners were thrilled to have new faces in their location to see what services were offered. Their generosity didn’t end there. In April, the salon suite owners were able to donate over $6,500 in services that were raffled at a gala to benefit The Churchill School and Center that assists children with learning disabilities. In June, the Manhattan team once again donated their time by hosting an “Evening of Pampering” at the local entrepreneurial workspace Alley. “I reached out to The Alley, which is across the street from our location to increase awareness about our location”, stated Alexandra. The event featured mini facials, manicures, and massages for the tenants. One month earlier, the group hosted a Mother’s Day Pop-Up at The Vanguard Chelsea for residents. This was also an event held to create awareness of Salons by JC Manhattan and introduce the array of services offered at the location. “Regardless of what your values are, your dreams are, or what the world requires of you, you must do it with passion or don’t even start”. Giving it 150% and getting back triple is what motivates and keeps Alexandra moving. “I have no hidden agendas and I will be the first to hold myself accountable for my actions, good or bad”. Taking the time to make people understand their duties, listening to needs, and also making sure her point of view is understood, are all qualities that make Alexandra a stand out Concierge. “We believe Alexandra exemplifies all the qualities of a great concierge: she has a really positive attitude, is very patient, willing to learn, is a proactive problem solver, and most importantly, is highly motivated in ensuring the success of all our business owners”, stated Shaurja Ray. In order to succeed in life and achieve, you must surround yourself with those who will empower you to create a better version of yourself. “I would have never been able to accomplish anything without Barrett, Shaurja and our amazing Salons by JC Manhattan community. I truly am surrounded by the best in the business. I consider myself a very lucky girl”. It has been a true honor to learn from such an outstanding individual. Alexandra consistently sets the bar higher and higher for herself and takes the role of Salons by JC Concierge to the next level.